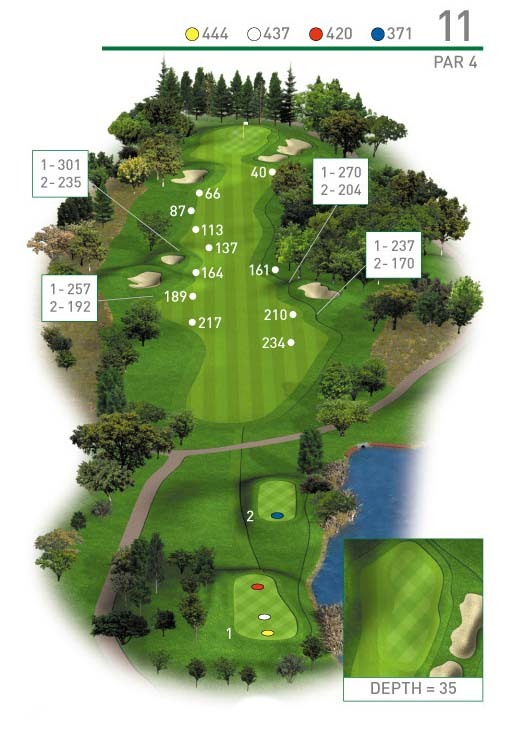 The longest Par 4 on the course so bring out the driver and favour the left side of the fairway. Your approach to a long and narrow green will require accuracy. Any ball missing the green left or long will feed off into a valley as well as two bunkers protecting the right.